behind the house at twilight. The next morning we’ll wake to a quick breakfast, float or wade the North Branch of the Potomac, enjoy a picnic lunch, and we’ll be off the water between 2:00 and 2:30 PM. 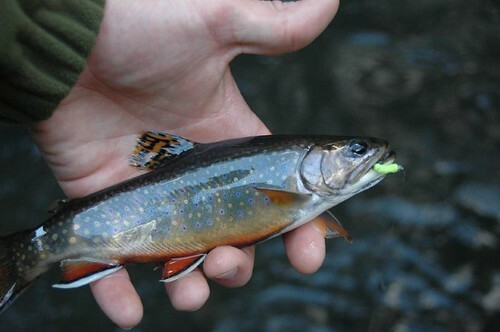 You may head back home at that point, or fish through the afternoon on the Savage River or some of the smaller feeder creeks like Poplar Lick for native Brook trout. 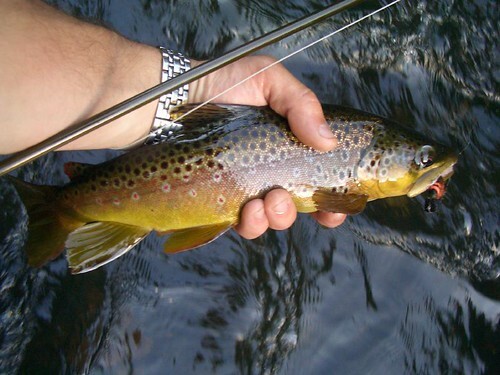 wade trip on the Savage River, three meals, lodging, and a wade or float trip on the North Branch of the Potomac. This entry was posted in news on May 18, 2007 by Theaux Le Gardeur.